Welcome to the April 2011 edition of the Using Mind Maps Newsletter; the Newsletter that helps you with using Mind Maps in your daily life. Last month we focus on sharing your knowledge and the possibilities of making money by sharing your knowledge. This month we focus on having a process and the concept of Process Mapping with Mind Maps. Every professional has a well defined process; so should you. We have our first Associate Author on board and will start delivering Mind Maps to help you learn Shakespeare's plays faster and easier. These pages also highlight the importance of having a process and how it can be applied to using Shakespeare. Our Mind Map Tutor concept is now firmly in place and people are willing to pay for the knowledge and frameworks that we provide. Our premium products, the Learning Management Program and the English Grammar Mind Map Tutor continue to add value to people wanting to learn faster and easier. Both of these are an essential part of your learning toolkit. Having a solid learning process and a good English Grammar tutor are good tools to have when learning just about anything. Our first Associate Author is now on board. We will be launching her Mind Map Tutors on Shakespeare's plays soon. So, if you are a subject matter expert and think you have the ability to produce a set of Mind Maps on your subject, we can sell it and market it for you using our Franchise Associate Author Program. If you are interested, please feel free to drop us a note using our Contact Form and we will get back to you with the details. Our Blog, www.mindmaptutor.com, continues to grow from strength to strength. Every successful professional knows that success is all about the process. They all have a process. While process mapping is a complex discipline in itself, and I don't profess to be an expert in the matter, I do suggest that you use Mind Maps to define your process. I also suggest that you Mind Map the process before doing any substantial task. We've produced our Learning Management Program, as an example of a Learning Process, but this article shows you how you can apply process thinking and Mind Maps to achieve many things. This article covers the process of creating a Process Mind Map for a more complex task. I've also attached a Mind Map for you to download and use. The Mind Map Shows you how to define a new process, or to redefine an existing process. Click on the link below to get to Mind Map. As usual, the Mind Map is fully interactive, allowing you to add your own thoughts and ideas to the Mind Map. You need to state the process that you want to define simply and clearly. Ensure that there is no ambiguity in the process you want to Map. Once you have stated what the process is, you have to define the outcomes that you would like to achieve. By defining the outcomes upfront, you will know whether you have succeeded or not. Remember - what you can't measure, you can't manage. You may be the only person involved, but if not, then you need to assemble the correct people to help you achieve your desired outcome. You may even need a group of people to help you define the process. Who is going to do the work? If it's not you, then make sure that you have the correct people needed to do the work. Who's going to manage the process? 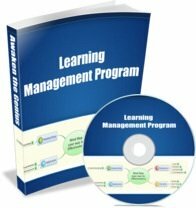 If you are going to manage it, then ensure that you are capable of managing it. If it's too big for you to manage, then get someone more experienced to manage the process. Mind Map the steps. The great thing about Mind Mapping the steps, is that you will be able to get a holistic, visual overview of the steps. This greatly reduces the chances of missing something. Number each step. By numbering the steps, you will naturally ensure that everybody has clarity about the order of the steps. You can also chunk the steps into groups, especially if there are many steps. Show dependencies between the steps. You can draw relationships between the branches of the Mind Map. In a tool like Xmind, you can manage relationships between branches very easily. Once, this is done, walk the team through the steps and make any adjustments. If you are the only person involved, take a brake and then come back to you Mind Map. Verify the steps one more time. You will be surprise how many times you make changes after giving it a bit of a rest. Focus on major issues. Many people sweat the small stuff when it is the major things that need reworking. You need to focus on what's going wrong with the current process. Use the 80/20 Rule. Often, 80% of your problems come from 20% of the areas. By focusing on the correct 20% you will often get the desired outcome. This is where Mind Maps come into their own. I often find that when brainstorming with Mind Maps, people's brains tend to work most efficiently, as both the linear, analytical side as well as the creative, artistic side is at work, giving whole brain solutions. If you are brainstorming with Mind Map Software, such as XMind, then its even easier, as you can easily order and categorise the ideas afterwords. Evaluate all possible actions. Don't judge them. You will get a chance to do that later. This is where you evaluate the steps resulting out of the brainstorming sessions. Identify all the workable steps and discard those that simply won't work. Mind Map the steps of the new process. Remember to number them. Highlight any dependencies with relationship branches. Do a 'dry run' of the new process to ensure that everything is covered. Assign tasks to people. Break them up into smaller teams if necessary. Set deadlines, if it is a project, or if the new process needs to be in place by a certain time. 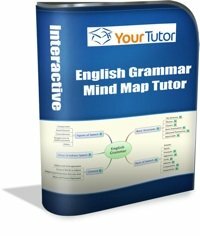 Create an overview Mind Map. I usually find this to be extremely important, as many people get lost in the details. An overview Mind Map showing all the important milestones can help ensure that everybody is on the 'same page'. You can always create links to detailed Mind Maps if necessary. The Master Plan Mind Map also shows who is responsible for what. Measure regularly. There are many ways to ensure that you follow through. You could have regular team meetings, or simply tick off against a checklist. But you must ensure that you measure whether are meeting the requirements set out in Step One. Remember - what you can measure, you can't manage. I hope that this short article gives you a good idea of how Mind Maps can be used to create and implement a process. Mind Maps can be used in many ways to help you with processes. You can even do a 'quick burst' five minute Mind Map before tackling any task of a reasonable size. Spending five minutes Mind Mapping your outcomes, and the steps you are going to take to achieve them, will ensure that you are always working efficiently and effectively. Our series of Mind Map Tutors to help you learn Shakespeare Faster and Easier will be launched this month, starting with Othello. So if you, or anybody you know, is studying Shakespeare, have a look at our Shakespeare page and bookmark it now. You can also comment on any of our blog posts. The choice is yours.